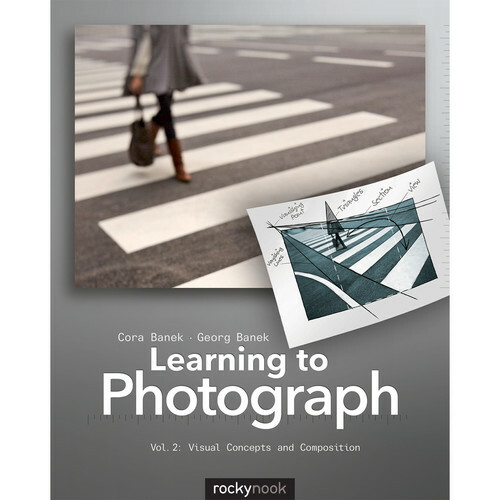 Learning to Photograph - Volume 2 from Rocky Nook is the second book in a two-volume series that gives students and amateurs essential information about technique and design as they relate to the larger concepts of photography. This second volume introduces you to the fields of visual design and composition. After providing an overview of these subjects, authors Cora and Georg Banek provide various methods pertaining to these topics and explain how they can be effectively implemented into your photography. As you discover new techniques to design your images, you will also learn to train your photographic eye. Ultimately, this will help you to hone and develop a unique personal aesthetic while allowing you to competently critique and analyze your own work and the work of others. Filled with striking images and informational graphics, Learning to Photograph - Volume 2 creates visually appealing lessons while offering inspiring templates for you to draw from as you create your own original and noteworthy photographs.